The Cremation Ceremony of late Professor Venerable Dr Bellanwila Wimalaratana Nayake Thero will be held on February 08 at the Sri Jayawardenepura grounds. The decision has been taken during the special discussion held regarding the cremation of the Thero this evening. 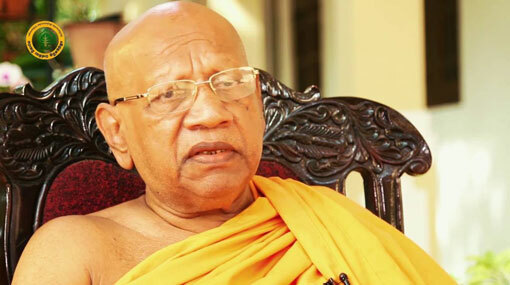 Bellanwila Wimalaratana Nayake Thero, Chancellor of the Sri Jayawardanepura University passed away today (3), at a Private Hospital in Colombo, following an attack by the temple elephant of Bellanwila Rajamaha Viharaya. Bellanwila Wimalarathana Thera was reportedly injured and hospitalized following the accident last morning (2). The Buddhist monk sustained injuries to his ribs following the injury. The Chief Incumbent of the Bellanwila Rajamaha Viharaya was admitted to the Kalubowila Teaching Hospital and was later transferred to a Private Hospital in Colombo for further treatments. According to reports, the Thera had taken a fall and was injured while attempting to feed the tusker ‘Miyan Kumara’ at the temple premises this morning, a ritual which he is said carry out almost every morning.